The Open Championship 2015: What Can Fans Expect? The Open Championship 2015 is just under a month away and things are already beginning to heat up with pundits, players and fans all clamouring to get ready for golfing’s oldest tradition. 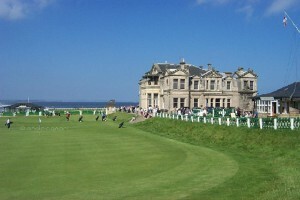 Taking place at the venerable St Andrews Old Course between the 12th and 19th of July is the 144th Open Championship. If you’ve not yet got up to speed on the prior goings on surrounding the Championship, here’s all of the hottest news you need to know…. Alongside iconic features such as the 700 year old Swilcan Bridge, Hell Bunker and Road Hole Bunker, players and their fans will likely be anticipating the rather tough ground of which the course is so known for, plus the rather tempestuous Gaelic weather! Of course, the mere fact that this year’s Championship is being held at St. Andrews should be eliciting glee within golf lovers’ hearts, as nothing short of thrilling should be expected of a round at the spiritual home of the game. All eyes this year will be on the ever-excellent Rory McIlroy who, alongside being touted by bookmakers to be the winner of this year’s event, will be looking to defend his -17 2014 win at Royal Liverpool, although a number of other contenders could perhaps steal the coveted trophy. Jordan Spieth is currently experiencing a period of great golfing prowess having just added the US OPEN title to his Masters title at Augusta this year. Meanwhile, Jimmy Walker, Hideki Matsuyama, Justin Rose and Patrick Reed are all similarly playing at the standard one might expect from the victor, standards that are, once again, reflected in the odds. The Open Championship 2015 also sees veteran Open winner at St.Andrews Tiger Woods playing in the event, however with the fallen star’s recent, rather terrible, record, it’s hard to see how the once poster boy of the golfing world could ascend once again. However, to take a wider look at the ‘runners and riders’ in this year’s competition visit Coral to get the odds on the open and take the plunge; this competition could go any which way! One of the more emotional events taking place this year will be the departure of five-times champion Tom Watson, who will be playing his final open at St Andrews. Watson was interviewed as saying, “I feel maybe a little bit melancholy but the memories of all the years playing in the Open will make it pretty happy. I’ve had a wonderful experience playing here in the Open for these last 40 years… I want to walk across the Swilcan Bridge on the Sunday, that’s my goal, and anything else will be gravy”. Let’s all cross our fingers and hope that the 65-year-old veteran will get a chance to show off some of his exceptional talents at The Open Championship 2015, given that four out of his five Open wins were on the Old Course. Golfing’s best event is only a month away, but if you want to book yourself some last-minute packages or tickets, head over to standrews2015open.com, or theopen.com. Looking for a Father’s Day Gift for Golfers? Why not surprise your loved one this Father’s Day with a gift that last all year? Let them join golf games in their area, track their scores and watch tuition videos + compete in site competitions. In January, we issued the TSG Golfers Survey questionnaire (sponsored by www.www.GolfGear247.co.uk), asking you to give us your views on the website, what we were getting right and what we were getting wrong. Your thoughts on how we can improve and your opinions on the golf industry as a whole. We are very grateful to all those that took part, there were more than 130 respondents, 71% PRO members and 29% FREE members. 90% were male golfers with 10% of views coming from the ladies. TheSocialGolfer.com Golfers Survey – The Numbers…. – 56% of you have been playing for 5 years or more, 19% 1-4 years and 20% can’t remember! – Over 67% of you play once a week or more! TheSocialGolfer.com Golfers Survey – Your Game…. Nearly half claimed that ‘Time’ was the biggest factor to you playing more but the weather also plays a big part in things, with over 20% saying it affected them playing more often. 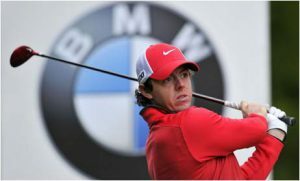 TheSocialGolfer.com Golfers Survey – The Brands…. The most popular make of clubs within the TSG community was Callaway with 16.8%, closely followed by Ping with 16.4%, once again closely followed by TaylorMade. When it came to choosing your golf balls, Srixon (25%) and Titleist (24%) were the clear favourites making up nearly half the survey results. However, Callaway put up a fight with 11% of you preferring this ball. However, most amusing was that over 10% played with whatever was in your bag!! TheSocialGolfer.com Golfers Survey – Travel…. With more and more golfers looking to take advantage of both cheaper air travel and an influx of golf travel operators entering the market, many of you are now taking more of your golfers currency further afield but just how often are you taking time out to take a golf trip? 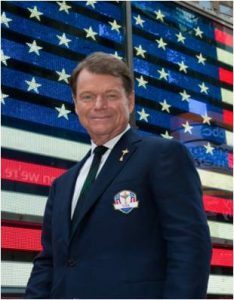 TheSocialGolfer.com Golfers Survey – Media…. Whilst we are always working hard to grow the community on your behalf, its interesting to see how loyal members are and whether they visit any other websites? How are your treated by Golf Clubs? TheSocialGolfer.com Golfers Survey – Golf Clubs…. We asked you a number of questions in our Golfers Survey about your views on golf Clubs and the golf industry as a whole. When asked why you wouldn’t join a golf club? Asked what would MAKE you join a golf club? – Finally, 12% of you said if there was a good social calender! However, most importantly we asked you how you were treated by Golf Clubs as either non-members or Pay ‘n Players, as you went around the county. Most worryingly, 3% of you said you were treated ‘badly or very ‘badly’ by clubs – who are these clubs we wonder. In a age of ‘customer reviews’ and ‘testimonials’, why would any club treat visitors poorly! How do you rate the atmosphere within TSG? TheSocialGolfer.com Golfers Survey – TSG…. Here’s the bit we were worried about, but we should never have had such reservations. Not only did you give us here at TSG HQ a glowing report, you also were prepared to be quoted. – Over 50% of you ‘claim’ to have posted a game but 34% said there were plenty anyway but surprising over 15% of you ‘didn’t know you could’. However, 6% were honest enough to admit, you were ‘Too shy’. – However, more than 50% said they hadn’t read the TSG Newsblog or more worryingly, didn’t know there was one. Lets hope the fact we have now added this to the front page and the Members page this will now change. TheSocialGolfer.com Golfers Survey – And finally…. – Overwhelmingly 91% of you described the site as ‘Friendly’, ‘Welcoming’ and ‘Good Fun’. Which is very humbling. – 70% gave us a scored of 8/10 or better. We are very grateful to everyone that took the time to give us there views. We are very pleased that you gave us such a high overall approval rating but we also note there is still room to improve the service we provide. If you struggle to hole your putts, specifically short putts (by this I mean 5 foot or less), this will be costing you a lot of shots and there’s no reason why you can’t be as good as Rory from these distances, here’s a few tips that will get you Putting like a Pro…. Often golfers will move their body when making short putts, and in doing so it makes it very difficult to manipulate the face to point at your target. Often it is the lower body moving that means the upper body moves as a result. So what I’d like to see is you try and stay still while you putt! The thought, and the feel I’d like you to have, is that you keep the knees still and don’t watch your putt until you can see the grass under the ball. To help you with those short putts under pressure – whether its to save par or win a match. Here’s a drill to help you cope with the nerves. – Set yourself up 3 feet from a hole and try to hole 10 putts in a row. If you miss – start again. Once you get up to the 8th or 9th putt, the nerves will start to kick in! But what about distance Putting…. Long putting is all about ‘feel’. Trying to hit the ball the correct distance so if you don’t hole it, you can make the next one. Similar to chipping, I see golfers try and putt with their hands and wrists. Why is this a problem? Well, the hands contain fast twitch muscle fibres, and these are very hard to control to power and speed of consistently – especially under pressure. The bigger muscles i.e. our shoulders and chest have slower twitch fibres which makes them much easier to control the speed of. So it would make sense to use these muscles to control the speed…. When you can judge whether your ball is against the fringe, long, or short – you have tour level feel and to you’ll be Putting liek a Pro! FREE Ping Scottsdale Putter on Crown Golf…. We thought we would let all you TSGers know about a great new Golf Society Package offer from Crown Golf, who have an unbeatable offer this June for all golf society day bookings. For the whole month they are giving away one of the best putters on the market, absolutely free. Yep, you and your mates can have a free Ping Scottsdale Putter on Crown Golf…. How to get your Free Ping Scottsdale Putter? Crown Golf operate a variety of golf clubs across nine counties in the UK, displaying some of the best clubhouses, facilities and driving ranges not to mention over thirty two golf courses! With twenty four golf clubs with over thirty two courses, they can offer bespoke packages to suit your budget and all your golf requests thoroughly. Their range of courses allow golfers of every ability and age to be challenged with the selection of long versus short, wet versus dry and hilly versus flat tracks. Their ‘Golf Day’ teams are fully committed to providing the best possible service, personalising all of your requests from initial enquiry through to you evening meal. The teams are well trained on how to help you get the most from your Society Golfing. With just one phone call or quick email, you will be assigned a personal Account Manager, who will take all of the usual stresses away from your event, leaving you to concentrate on your own golf game and who knows, possibly win your new Ping Scottsdale Putter on the nearest the pin! If you are in need of private bars, driving ranges, practice facilities and freshly cooked food, then look no further than a Crown Golf venue. Book a society day at any of the Crown Golf venues before the end of June and you’ll receive your free Ping Scottsdale Putter (worth £130) on the day.